Consulting a doctor for a health issue is easy but to follow the medication prescribed is pretty challenging. 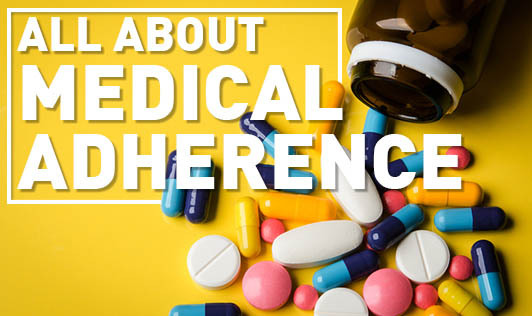 Medical adherence is the extent to which the patients take the medicines as prescribed by the doctor which involves taking the medications on time and following the directions. The most common reasons why people fail to adhere to the medication are disbelief that the medication is of help, cost of the medication and difficulty keeping up with multiple medications. • Take all the doses of the prescribed antibiotics. • Your medication is not to be shared with anybody. • Do not stop taking the medicine doses in between unless your doctor advices to do so. • Do not save your antibiotics for another time. • Communicate to your doctor about the side effects of the medication if it's bothering you. Your doctor would adjust the dosage or change the medication to a one that would be more comfortable to you. • Make sure you understand how long you need to take the medication. Ask questions like ‘can I stop the medication when I start feeling better or do I have to empty the bottle?'. • If paying for the prescription is an issue then let your doctor know about it so that he can prescribe generic medicines. These are drugs that use the same active ingredients that work the same way as the other medicines but are priced as much as 30 to 80% low. • Set routines to take medications. Set reminders on your cell phones or make use of reminder notes on the fridge or on your computer monitor. • Keep medications at a place you'll notice them. • Use daily dosing containers which are available in most pharmacies which would allow you to keep medications in labeled compartments with the days of the week and various dosage frequencies.